The U.S. Army ranger killed in action in Afghanistan on Thursday was Sgt. 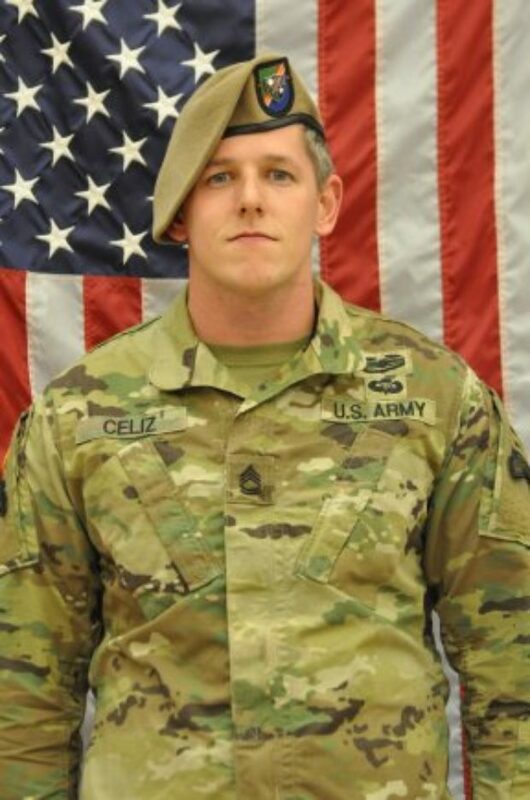 1st Class Christopher A. Celiz, according to a press statement released Friday by Army Special Operations Command. Serving with Company D, 1st Battalion, 75th Ranger Regiment out of Hunter Army Airfield in Georgia, the battalion mortar platoon sergeant was on his fifth deployment with his regiment, seventh since he joined the armed forces, at the time of his death, the press statement revealed. He was posthumously awarded a Meritorious Service Medal, Bronze Star Medal, and the Purple Heart. He deployed to both Iraq and Afghanistan multiple times in support of Operation Iraqi Freedom and Operation Enduring Freedom. When he was killed, he was fighting to advance Operation Freedom’s Sentinel.